In the early 2000s, a diver went looking for shark teeth in South Carolina's Wando River. Instead, he discovered the remains of an extinct species of whale that may be the missing link that explains how baleen whales lost their teeth. The humpback whale is a filter feeder that consumes lots of krill daily. A theory had emerged that baleen whales lost their teeth and subsequently evolved to possess sieve-like teeth. However, the discovery in the early 2000s of the skull of an extinct species of baleen whale suggests another possibility. Found at the bottom of South Carolina's Wando River, the 30-million-year-old skull had sharp, pointed front teeth, and saw-like back teeth. “Unlike its front teeth which were used to snag prey, the wear on Coronodon havensteini’s unusually large molars showed no evidence of shearing or cutting food,” said Associate Professor Brian Beatty, Ph.D., from the New York Institute of Technology's College of Osteopathic Medicine. He is a co-author of a newly published paper in Current Biology that describes the discovery. He added that this suggested that the whale’s molars were used to filter food. 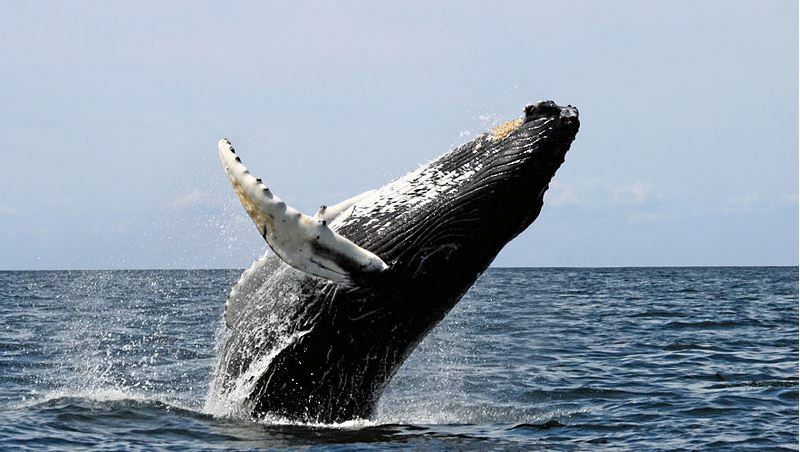 Hence, this newly discovered species may be a transitional species between the earlier whales that hunted prey with the teeth and the modern baleen whales.